Harsh winds can rapidly dehydrate our skin, leaving us with chapped lips, dry hands and red cheeks. Those long, hot baths we sooth ourselves with also strip our skin of its natural oils. Fight back by cleansing, nourishing and protecting your skin. Your whole family can benefit from non-soap cleansers. Soaps include detergents that strip the oils from our skin. Degreasing is great for washing dishes but not so great for your soft skin. Choose non-soap washes that are fragrance and dye free. Keep your shower and bath water tepid. If you’re going to soak for more than 10 minutes, add bath oils to help retain moisture. Moisturizers sooth and lubricate. Some even have extra “active ingredients” that make your skin appear tanned or help fight wrinkles. These products should never be used on babies, however, as they could irritate or harm baby’s skin. For tots, pick products that help create a barrier to retain natural moisture, such as healing ointments, which are thicker but more difficult to spread. Warm them by putting a dollop in your palms and rubbing your hands together. Baby will love the warmth and the massage. Whether it’s sunny outside or not, don’t be fooled by cloudy skies—you need sunscreen year-round. All moms need a daily SPF of 30+, especially at high altitudes, and during sports. Babies ages 6 months or younger should only be wrapped in clothing for sun protection. Hats and light blankets work too. Once baby is old enough for sunscreen (age 6 months+), start with one for infants and choose one with the least number of ingredients. Moisturizer prevents stretch marks Stretch marks can’t be prevented. Stretch marks are scar-like skin changes that happen during hormone-surged life stages, such as the teen years or pregnancy. There’s no medically proven way to prevent stretch marks. Luck and good genetics is all you can hope for. Soapy baby = healthy baby skin Too much bathing and fragranced soaps can irritate baby’s skin. Nothing is yummier than your baby’s sweet smelling skin post-bath. 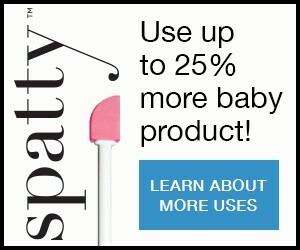 Problem is, too much soaking can dry baby’s sensitive skin—particularly in cold climates. While most babies do fine with lightly scented baby washes, a little goes a long way. If you notice your child’s skin gets red, dry, flaky or itchy, opt for natural alternatives for cleansing. Dr. Alicia Zalka, MD, is a Yale-affiliated dermatologist in private practice in Connecticut. She's also the founder of surface-deep.com.